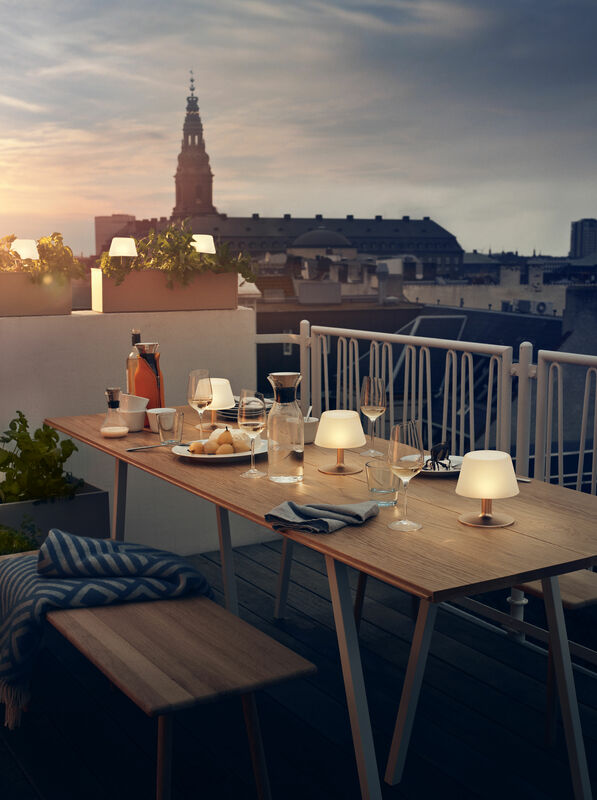 Put the light on when eating dinner on a terrace and extend your summer evenings till the end of the night with this stunning solar lamp... It is ultra practical, since it is wireless, can be hanged up anywhere on a metallic cable and doesn’t need to be plugged in. 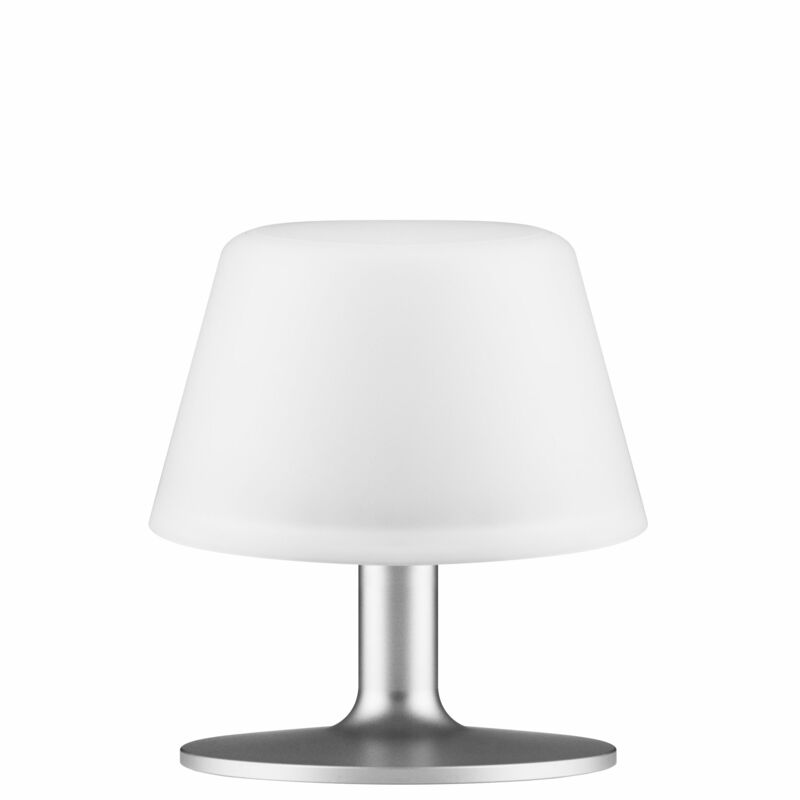 It features a glass lampshade and an aluminium structure, and provides decorative, soft light. 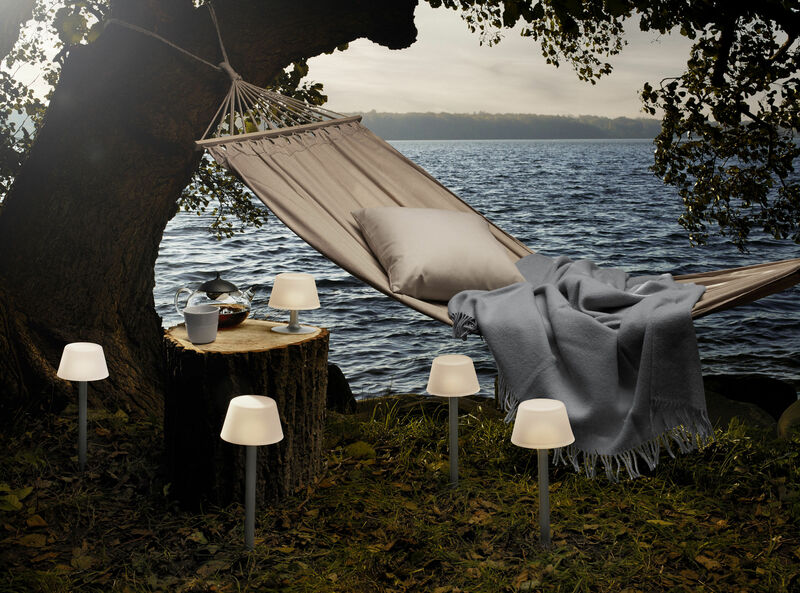 This mobile lamp will go wherever you wish: it can be small mood light at the entrance or in a living room, or it would also be perfect on the on a garden table or when having a drink on a balcony. 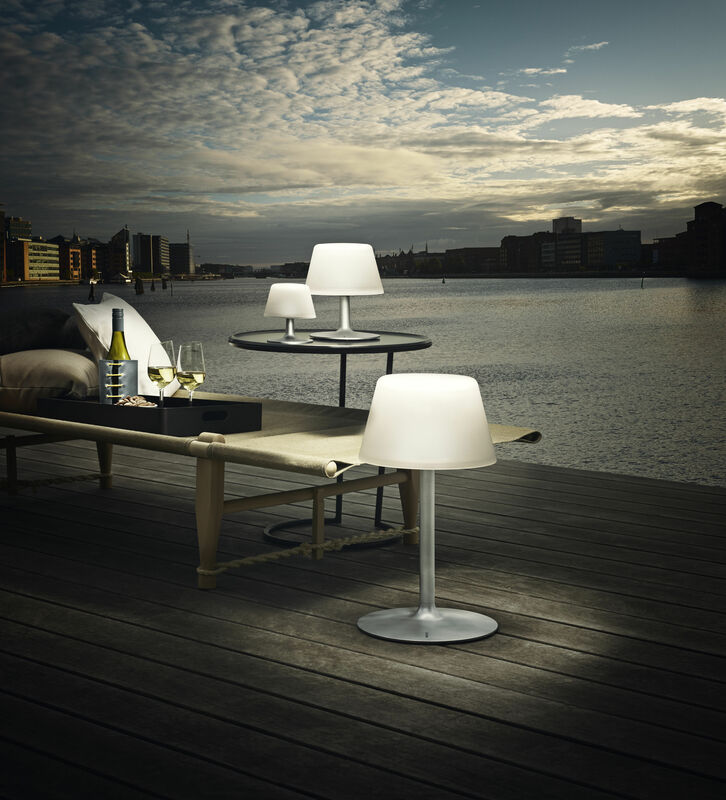 For perfect look, the solar energy collector is invisible, completely hidden under the lampshade. 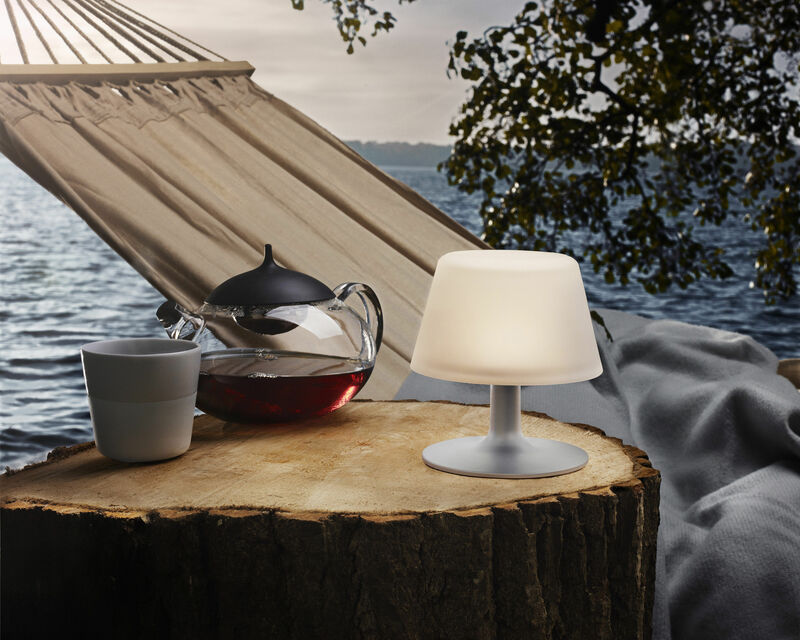 Having been charging in the sun for a day, the lamp provides up to 20 hours of lighting. This lamp features a traditional on/off switch and an automatic on/off function (the light automatically switches on and off depending on the surrounding light). A LED source (included) guarantees a minimum of 15 000 hours of lighting. You have also the possibility to charge the lamp trough an USB cable (supplied).